Dr. Rashid Alleem is ranked third among the 25 most influential CEOs in GCC and is considered one of the 100 most influential CEOs in the Middle East. He is a passionate writer; an environmentalist; a sought-after thought leader; the creator of Thinking, a unique blend of “critical and lateral” thinking; and an internationally respected transformational leader. The founder of Alleem Knowledge Center, Dr. Alleem is a dynamic leader who has worked with prestigious governmental, semi-governmental, and nonprofit organizations. He is an entrepreneur par excellence with a flair for effective, strategic decision-making by means of innovative thinking. Dr. Rashid was recognized as “The Knowledge Ambassador of the UAE” by His Highness Sheikh Mohammed bin Rashid Al Maktoum—the Vice President and Prime Minister of the UAE and ruler of the Emirate of Dubai—and as “Environmentalist of the Year 2012” by the fourth Prime Minister of Malaysia, Dr. Mahathir Mohamad. Dr. Alleem earned a Ph.D. from the University of Salford, in Manchester, UK. Being a “sustainovationalist,” he has received four honorary doctorates from different universities: Atlantic International University (USA), in recognition of his achievements in the socioeconomic fields; Somalia University, for his humanitarian services; American Global International University (USA), for his global business contributions and numerous academic achievements; and Indian Peace University, from which he received a Doctorate in Philosophy for his exceptional contributions, dedication, and social services to society. Dr. Alleem was recently recognized as The Global Green Ambassador by DMG. Under his leadership, SEWA received the Voluntary Cancellation Certificate for excellence in energy-saving and the reduction of CO2 emissions by the United Nations Framework Convention on Climate Change (UNFCCC) in 2017. He was bestowed with the Friend of Singapore Sustainability Award 2017 by the government of Singapore, and he became a member of the advisory board of the Singapore World Water Council. He has received the prestigious title of “The Ambassador of Peace & Happiness in the Arab World” by VOK. As a highly sought-after keynote speaker, presenter, and teacher, Dr. Alleem is well-known for delivering compelling and practical messages to audiences of more than 100,000 people per annum, including at some of the largest regional and international venues. Last but not least, he is one of the most interviewed and published charismatic media personalities in the region. A prolific writer both in English and Arabic, Dr. Rashid Alleem is the author of several books on management and leadership. His newest book, The SEWA Way, showcases 15 winning principles, providing a roadmap for achieving success both on an organizational and a personal scale. Aiming to improve social, economic, and environmental living conditions worldwide and helping to improve the quality of life for hundreds of millions who have not yet seen the benefits of sustainable development and inclusive growth, he has written four books on the topic of sustainability: My Green Journey in Hamriyah; Sustainability: The Fourth Wave of Economy; I Am Committed: 17 Global Goals; and Alleem Sustainable Development Goals. 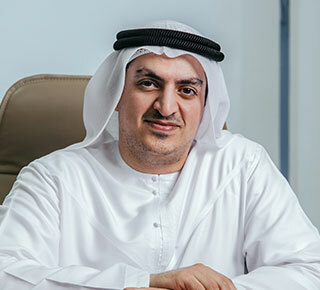 Dr Matar Al Neyadi, Undersecretary of the UAE Ministry of Energy, holds a Ph.D. in international law from the University of Edinburgh (1997). He has professional experience in leadership, international cooperation, international maritime law, management of international negotiations, climate change, rationalization of energy and water consumption, impact of the prices of unconventional sources on oil and gas prices, the State's sovereignty on its natural sources and drafting legislations. 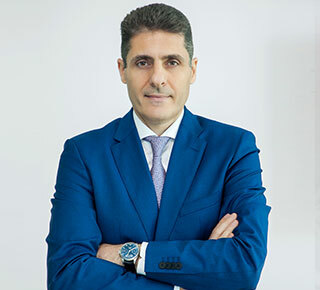 In May 20 I 4, Dr Matar assumed the position of Chairperson of the Board of Directors of the Gulf Cooperation Council Interconnection Authority (GCCIA). 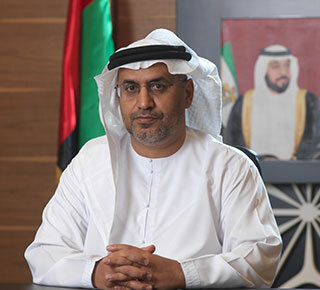 Dr Matar is also the UAE's Executive Member in the Gas Exporting Countries Forum (GECF), member of the Executive Office of the Organization of Arab Petroleum Exporting Countries (OAPEC), member of the National Emergency Crisis and Disaster Management Authority (NCEMA) and member of the Board of Trustees of H.E. the Minster of Interior's Award for Scientific Research. Al Neyadi is also the Chair of the Gasoline and Diesel Prices Follow-up Committee; Deputy Chair of UAE's National Committee at the WEC (World Energy Council); Chair of the CDM (Clean Development Mechanism) Executive Committee; member of the Emirates Green Development Council; member of the Steering Committee of the UAE Ecological Footprint Initiative and a member of the Advisory Board of the College of Law. Dr. Matar Hamed Al Neyadi has authored a number of legal books which notably include 'Maritime Zones of the UAE', the 'Rules of International Treaties in Public International Law' and 'Documents in Public International Law'. Younus Al Nasser is the Assistant Director General of the Smart Dubai, guiding Dubai’s citywide effort to transform Dubai into the world’s smartest city by 2017. Younus Al Nasser is also the CEO of the Dubai Data Establishment, part of the Smart Dubai, charged with overseeing the implement of the Dubai Data Initiative, the most ambitious data initiative globally, and fostering a culture of data sharing in Dubai. Prior to that, he was a Director of Projects and Security Systems in Dubai Electronic Security Centre Implementing Agile and Lean Methodologies in Project Management and member of Dubai Open Data Committee which was formed in November 2014 with a Decree from H.H Sheikh Hamdan Bin Mohammed Al Maktoum to deliver Dubai Data Strategy, Dubai Data Road Map and Dubai Data Law. Bahrozyan holds undergraduate degree in Management Information Systems (MIS) from the University of Colorado, USA, 1991. In 2008 Ahmed Bahrozyan was appointed as the Chief Executive Officer of the Licensing Agency where he mainly focused on building a strong team, simplification of the services, improvement of processes and services. 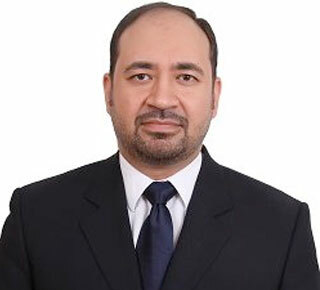 Ahmed Bahrozyan joined the RTA in December 2005, one month after the organization was established, as Deputy Director of the Information Technology Department. 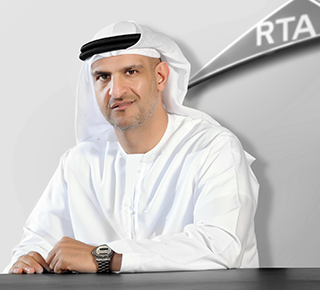 He progressed to become the Director of the IT Department and then moved on to hold the position of Director of the Development and Corporate Performance Department where he was responsible for working with all RTA agencies. 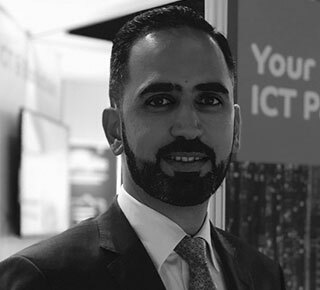 Prior to joining RTA, Ahmed Bahrozyan was the Manager of e-Government Services at Dubai Municipality, where he oversaw the development of hundreds of online services that were focused on improving services. Bahrozyan is RTA board member since 2008. Abdulla Balalaa is a qualified Commercial Director, Civil Engineer and Urban Planner with extensive experience in project and operational planning across many government sectors. He has managed a range of sustainable urban developments, providing strategic leadership for large projects with a particular emphasis on the planning, infrastructure, transport and safety & security aspects of their delivery. Today, Mr. Balalaa is Responsible for the sustainable growth of Masdar city, ensure the real estate investments coordinated & operated in a sustainable & profitable manner, as per the approved Masdar city master plan in compliance with the sustainability requirements. 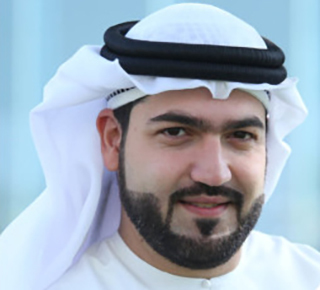 As Director of Information Technology at the Department of Economic Development, Mohammad Al Qaizi designs, implements and oversees programmes and initiatives that expedite the smart transformation of organizational processes and services aimed to achieve customer happiness. Recently, he displayed seven WOW factors, which cover applications that use artificial intelligence, cognitive analysis, BI (business intelligence) tools, prediction analysis in the sense of risk engine, mobile inspection tools and smart applications. 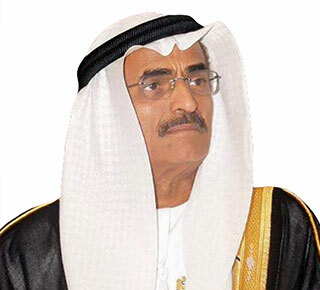 A Master of City Science in computer information systems, Al Qaizi has played a stellar role in managing IT systems and automating processes in leading government establishments and rising through the ranks. He joined DED in 2008, after starting his career with Dubai Electricity & Water Authority as a high school graduate in 2003. His passion to innovate saw him developing, among others, a BI application that has significantly enhanced organizational performance by enabling Director General and CEOs in DED to electronically monitor operations and take prompt decisions when needed. She has more than 18 years of experience in both technical and managerial role in IT field. She has started her career in Dubai Municipality as a System Administrator. 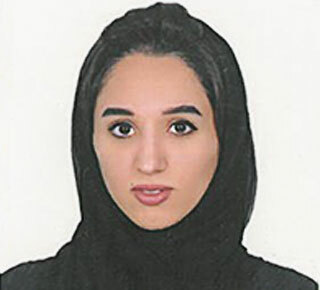 After that, she became the Head of the Internet Operations Unit, where she was responsible and managing Dubai Municipality online services infrastructure. 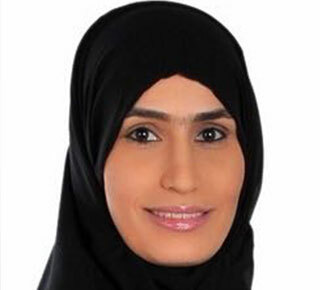 In 2008 she became head of Information Systems Security Section to manage all Information security matters in Dubai Municipality , after that she was Head of development section. Then she moved to Zayed University as IT director, finally she joined Dubai health authority as IT directory since September 2014. Carles Agustí i Hernàndez is an expert in International Relations, Open Government, transparency, Open Data and new governance models, Innovation and management. He's International speaker about this issues. He, and his team, launched Barcelona Open Government (governobert.bcn.cat) and achieve that Barcelona meet 100% of international transparency criteria. He's now Open Government Director at Diputació de Barcelona and President of Compolcat (Catalan Association of Political Communication). He's member of advisory Committee of Open Data Institute Barcelona and Leading Cities Advisory Board member. 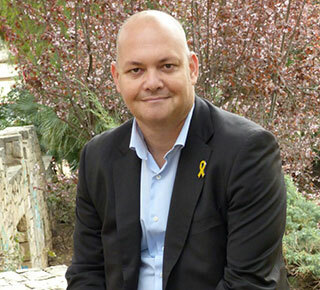 Recently he was Innovation and Democratic Quality Director of Catalan Government. He's former Councillor of Citizen Participation and Associations of Barcelona city Council and also General Secretary of the International Organization of Participatory Democracy (OIDP). 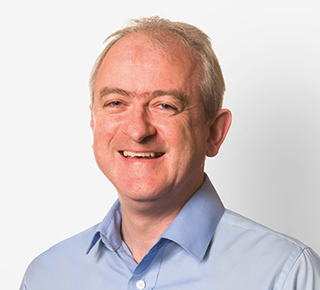 Roger is the global director of transport for Atkins Acuity and an Atkins Fellow with over 28 years experience in Transport planning projects. Much of his career has been spent overseas, primarily in Asia and the Middle East. His key focus is on strategic transport opportunities in the Middle East and beyond. He has key experience in the Public Transport & Aviation Sectors and more recently in Atkins’ Intelligent Mobility proposition promoting Green Mobility and Self Driving Policies and their integration into existing and future urban environments. Julien is responsible for the company’s in country presence and growth strategy including sales and marketing operations across the UAE & Oman. Julien has more than 18 years’ experience in information technology, organizational transformation and go-to-market optimization. 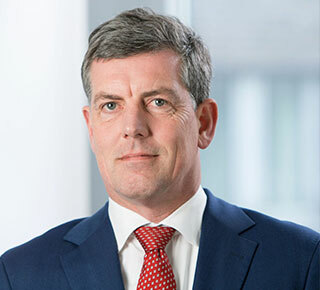 He joined SAP in April 2018, from a successful career with HPE (Hewlett Packard Enterprise), where his most recent position since 2017 was as Managing Director for the Middle East (10 countries) responsible for driving sales, profit, defining the GTM strategy & the investment strategy. Prior to this, in 2016, he was the Managing Director for Africa and Greece (56 countries). Julian holds a Bachelor of Science (Honours) in Mathematics from the University of Northumbria in the UK and he is currently obtaining a Master of Space Science from The Open University. Marwan Zeidan is a Director within the Gulf and Pakistan Cluster at Schneider Electric. He supports a focused list of accounts in their digital transformation, leveraging the best in Operational Technology solutions with advanced Information Technology. 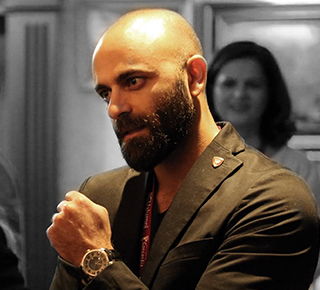 Marwan has over 18 years of experience in multiple industry verticals and has been focusing on smart cities, IoT and Analytics for the past 12 years working with governments and large enterprises on their digital transformation. 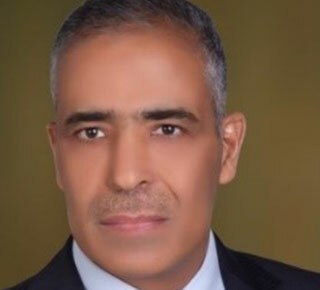 Prior to Schneider Electric, Marwan was an Associate Partner with IBM leading Watson IoT Services for MEA and a Senior Manager with Cisco Systems leading consulting and solution selling for Smart Cities in Europe and MEA. Prior to that, Marwan held positions with consulting companies that include Accenture and Deloitte & Touche. Marwan graduated from the American University of Beirut with a degree in Computer and Communications Engineering. 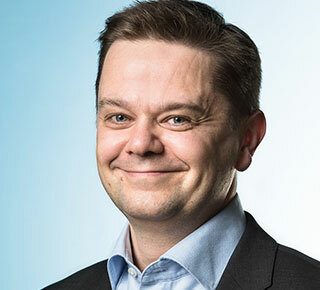 Joakim Modeen is Head of Service Business at KONE Major Projects. He has 17 years of experience in KONE in various parts of the business. In his current role he is responsible for the global growth and development KONE’s Modernization and Maintenance businesses in Major Projects. Projects classified as ‘Major Projects’ are typically iconic developments in Office, Multi-use or Public Transportation market segments. He works in close co-operation with KONE’s Regional organizations to ensure objectives are reached. 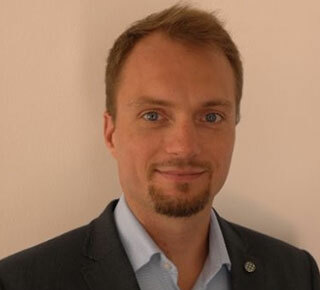 In his previous position, Joakim was Director for New Equipment for KONE Central and North Europe. Before that, he spent 4 years in Shanghai, China, first working as Project Manager in Research & Development, after that as Assist. Director for Product Strategy & Marketing for KONE China. Before the time in China, Joakim worked in Research & Development in Finland. Joakim graduated from the Helsinki University of Technology with a M. Sc. (Tech), majoring in Mechanical Engineering. He has completed various trainings in leadership in Switzerland. He lives in Helsinki with his wife and two children (boys aged 4 and 6). 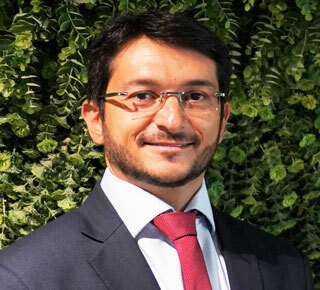 Pedro helps SAP to digitally transform their customers and partners as member of the Digital Transformation Office in EMEA South based in Dubai and possess almost two decades of international experience in multiple tech-driven segments including internet, digital media and enterprise software. He is very entrepreneurial and started his own company twice, established multi-million-dollar business operations from ground up across Latin America and Middle East markets. Pedro is leveraging co-creation approach and cross-industry innovations for new business models generation using exponential technologies such as Blockchain, Big Data, Cloud Computing, Machine Learning and the Internet of Things. 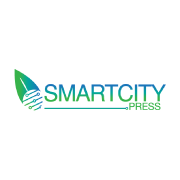 Domain expertise in Smart Cities, Digital Platform Economy and Strategy Execution with Balanced Scorecard. Born and graduated in Brazil, honored with executive certifications from MIT Sloan, Singularity University, University of La Verne in cutting-edge Strategy and Innovation, International Marketing and Business Management. With genuine passion for a smarter world, he acts as exponential technologies evangelist, strategic business developer, CxOs advisor, startups mentor and drive thought leadership as author and frequent public speaker in international conferences and business schools. 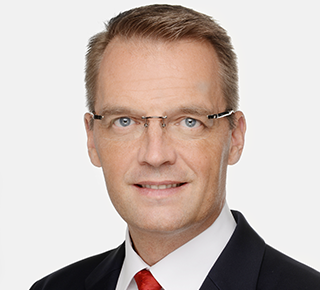 Siemens has appointed Markus Strohmeier (47) as Senior Executive Vice President of the company’s Building Technologies division in the Middle East, effective January 1, 2018. Based in Dubai, UAE, Strohmeier will be instrumental in supporting customers in the region to build increasingly digitalized infrastructure for smarter, safer and more energy efficient buildings. 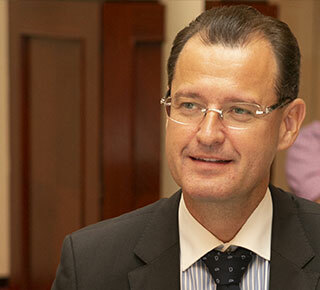 Since 2009 Strohmeier has been CEO of Siemens LLC in the Sultanate of Oman, responsible for developing some of the company’s most significant projects in the country. This includes delivering key components to the country’s newest petrochemical projects, and handing over the three most efficient combined-cycle power plants, Sohar 2, Barka 3 and SUR, additionally secured with long-term service contracts. Strohmeier also oversaw significant contracts for security systems and more than 100 landmarks controlled by Siemens Building Technology. Strohmeier began his career with Siemens in Germany in 1990 for Public Communication Networks, and his assignments have led him to Libya, Indonesia, Saudi Arabia and China. He went on to head the Mobility and Energy Management Divisions in Siemens Indonesia, in addition to his role as Board Member of the same organization. During his tenure as CEO of Siemens LLC in the Sultanate of Oman, he was directly heading the Divisions Power and Gas, Building Technologies, Digital Factory and Process Industries and Drives. Strohmeier is an Electrical Engineer and graduated from Höhere Technische Bundeslehranstalt in Klagenfurt Austria. 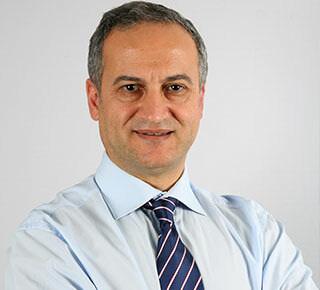 Samer Halabi is the Regional Managing Director at KONE Middle East. With 20 years of experience and technical knowledge in the region, of which 17 years was spent at KONE, Halabi is currently responsible for all of KONE’s regional business operations. In his role, Halabi leads KONE’s business strategy, and is in charge of P&L management, business development, budget planning and and the alignment of all operational activities within KONE’s guidelines and objectives. In addition, Halabi acts as the face of KONE in the region for costumers and stakeholders in the community. In his last position, Halabi assumed a similar role of Managing Director in Doha for a period of three years. 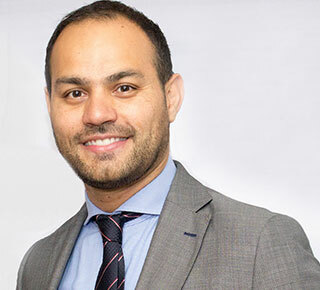 Previously, Halabi was involved in the Exports and Sales departments at KONE Middle East, where he, respectively, took on the roles of Exports Manager and Associate Sales Manager. Halabi moved across different departments over the course of his time at KONE, gaining exposure in various aspects of the industry. 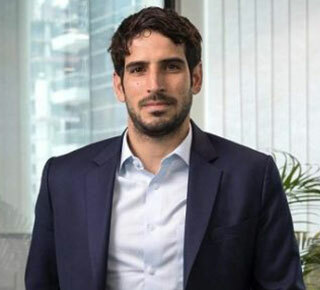 Halabi holds a Bachelor’s degree in Mechanical Engineering from Aleppo University in Syria, and has also received various trainings in leadership and innovation from the UK and Switzerland. 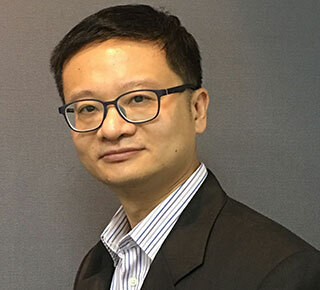 Sam is currently VP of Global Development Service of PCCW Global, heading the Smart Living and IoT consulting practice. He has over 25 years of technical and international business experience in the Telecom and IT industry in Hong Kong, China, Canada and Saudi Arabia, working in the areas of product development, sales, marketing and consulting. He holds an MSc and a BSc (Eng) degree from Imperial College, United Kingdom. Dr. Al-Assaf had his PhD from Oxford University and leadership training from Cornell University. He is a widely published and academic and senior education management professional with extensive international experience. He is currently President of Rochester Institute of Technology- Dubai, a leading not for profit international branch of RIT Rochester, New York. RIT Dubai University is established in conjunction with the Dubai Government in Dubai Silicon Oasis. Prior to this he was Dean of the College of Engineering at the American University of Sharjah where he was one of the founding members of the electrical engineering and computer engineering programs. During his tenure at RIT Dubai, he has ensured that the university plays a major role in the ecosystem of Dubai Silicon Oasis and supporting the achievements of Dubai vision. Introduced a number of new programs, certifications and initiatives to meet the needs of public and technology partners including: Smart City Sciences, Data Analytics, Emerging Technologies, Corporate and Customer Happiness, Future Shaping, Computing Security and Sustainability among others. Dr. Al-Assaf's research focuses on using soft computing to model and control various industrial, business and medical systems. Applications include materials modeling and classification, prostheses control, industrial quality control and optimization. His industrial experience is in the areas of adaptive and predictive control, soft computing and industrial instrumentation and control. 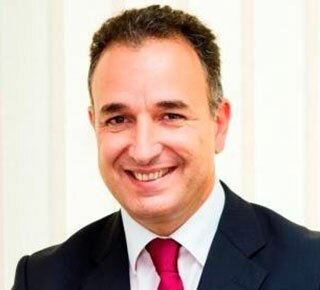 Alex Rentier was appointed as the Managing Director of Serco Dubai Metro and Tram in November 2015. Serco Dubai Metro and Tram has been the O&M partner of RTA since the inauguration of the Metro in 2009, and the start of the Tram in 2013. Since it’s opening on 9-9-2009, the iconic Metro has performed at world class levels of performance, whilst at the same time guaranteeing safe and reliable transport for over 1.25 billion passengers to date. Alex is a Director with more than 30 years of International Senior Management experience, in B-to-B and Public Transport environments. Balanced experience in all aspects of business management, including restructuring and turn-arounds. Considerable experience in International environments such as the Europe, the Middle East as well as Asia. Specialties: Public Transport (both Rail and Bus) O&M, supply chain management, manufacturing management, MRO. Alex holds a degree in Mechanical Engineering with a postgraduate diploma in Business Administration from the Leeuwarden Polytechnic in the Netherlands, complemented with further education at INSEAD and IESE. Elizabeth is a Regional Manager at Darktrace, with over 8 years’ experience working in multinational enterprise and industrial software companies. As a member of the Darktrace team, Elizabeth has given many presentations and technical demonstrations across the world, with her specialism lying in the application of AI and machine learning in order to futureproof and protect an organization against cyber-threat. Elizabeth holds a BA in Retail and Business Management from Oxford Brookes University. Eng. 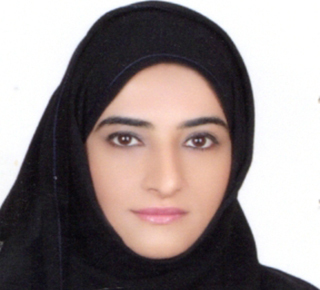 Eman Alkhayyal , SEWA’s Chief Information Officer and Information & Communication Technology Manager, she has Bachelor of science in Computer Engineering from Sharjah University and Master in Information Technology Management and Governance form Canadian University of Dubai, in additional to different diploma programs such as Organization Development Diploma , Japanese Management Diploma –KAIZEN, …and currently doing “SEWA Excellence Diploma Program” from American University of Sharjah. Alkhayyal’s appointed end of 2014 as an IT Manager, and on 2015 she lunched SMART SEWA 2020 initiatives along with the transformation journey plan for IT. In 2016 she has been given “chief information officer” title and has been selected for her distinguish achievements to be within the top 25 performer SEWA employees. She leaded the Green Bill Campaign on 2016 which aimed to digitize SEWA’s monthly bills by developing public awareness and simulate community participation in the conversation of natural resources, promote sustainability and preserved for the new generation, for that SEWA received two awards the first from .Gov Award 2017– IT green initiatives category, and the 2nd from Oracle Excellence Award 2017: Sustainability Innovation category from San Francisco. She also is heading PR committee in AL AMAL camp since 2008 and a member of the organizing team, this camp is an annual event by Sharjah City for humanitarian services. Currently she is heading SEWA WAY team , the champions behind developing SEWA strategy map and aligning 35 + business units with SEWA 2020 vision and strategy. 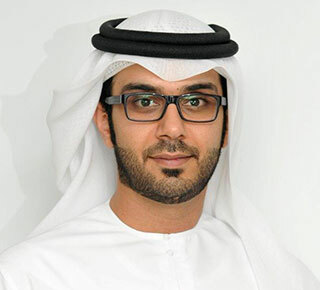 Jasim holds the position of Senior Vice President - Service Operations at du, from Emirates Integrated Telecommunications Company, in the United Arab Emirates, leading the department responsible for developing service operations strategy, roadmaps and their delivery. He is also responsible for other aspects of du’s network such as maintenance, change management, network re-engineering, intelligent traffic analysis and performance. 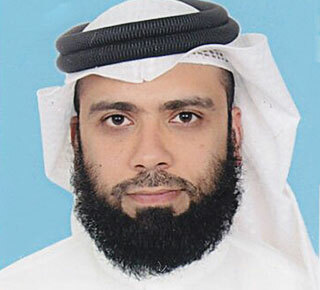 Jasim graduated with first-class honours in Bachelors in Telecommunications Engineering from Etisalat College of Engineering in 2001, and joined Etisalat in the same year. He then moved to Canar ( Etisalat – Sudan ) in Dec 2004. In 2007, Jasim started his journey with du, and has since then, played an instrumental role in establishing du’s fixed and mobile networks. Marwan Al-Zarouni CISSP is currently pursuing a Doctor of Information Technology award at Edith Cowan University. 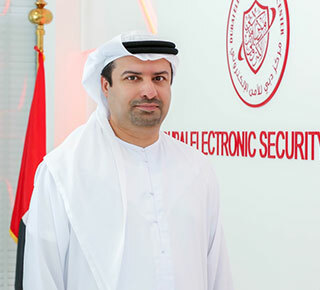 Mr. Al- Zarouni is the Director of Information Services at Dubai Electronic Security Center. Mr. Al-Zarouni has extensive experience in the areas of information security management, network security and computer forensics. 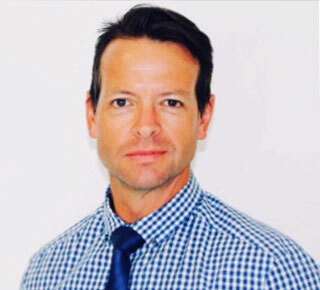 He has written a number of academic papers and presented them in such conferences as the Australian Information Warfare & Security Conference, the Australian Computer, Network & Information Forensics Conference and the Australian Information Security Management Conference. He holds a Master’s Degree in Information Security and Intelligence from Edith Cowan University and a Bachelor of Science in Aviation Computer Science from the prestigious Embry-Riddle Aeronautical University in Daytona Beach, Florida. He also holds the highly regarded professional certification of Certified Information Systems Security Professional (CISSP). Mr. Al-Zarouni held a number of positions in non-profit information technology and security organizations including the Founding Board Member and the Web Development Team Leader at Emirates Internet Association (EIA). He is currently the post graduate representative for SCISSA at ECU. Mr. Al-Zarouni was the keynote speaker at an E-commerce Opportunities Conference held in Sharjah, United Arab Emirates and more recently at the 21st NLC National Education Conference held in Perth, Western Australia. Awards wise, Marwan was the winner of the Best Paper Award at the 4th Australian Information Security Management Conference. 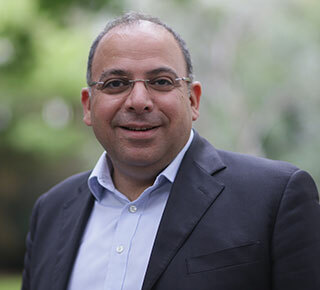 Academically, Mr. A-Zarouni has developed and taught a web technologies class at the Higher Colleges of Technology in Dubai and tutored a computer security class at Edith-Cowan University in Western Australia. Mudassir Sheikha is the CEO and Co-Founder of Careem. He grew up in Karachi, Pakistan, before graduating from the University of Southern California with a degree in economics and computer science then completing a masters degree in computer science at Stanford. A career in tech started with Silicon Valley startup Brience, and then as a summer associate at Venture Finance group, working with seed-stage companies in the software and consumer Internet industry. 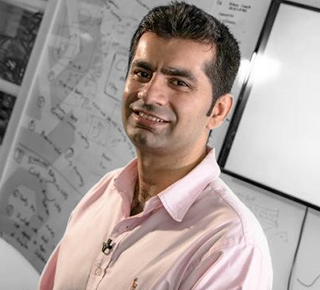 Mudassir then moved back to Pakistan and co-founding DeviceAnywhere, a company that was acquired by Keynote in 2008 before joining management consulting firm McKinsey & Company in Dubai. In 2012, he left to form a new company with ex-McKinsey colleague Magnus Olsen. The idea was not just to build a big business, but start one that would have a big impact, be meaningful, and with a mission to simplify and improve lives and create an awesome organisation that inspires. That became Careem. When not traveling, he is hanging out with Captains and giving engineers feedback on user interface. 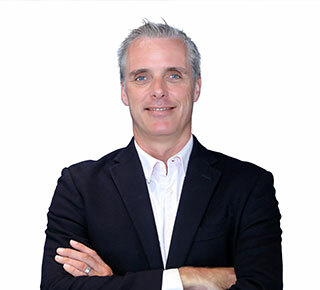 Andrew Collinge joined Smart Dubai Data in April of this year as an Advisor. Prior to this he spent eight years as Director at the Greater London Authority, running the data analytics and smart cities team for two Mayors. In London he was responsible for the London Datastore, the development of collaborative data science approaches to tackle city challenges through the London Office of Data Analytics, and large European Commission projects piloting IoT approaches in communities. In his early days in Dubai he is exploring decentralised approaches to data exchange as a way of encouraging private sector engagement and data sharing. Ghassan leads McKinsey’s work on major projects in the Middle East. He brings decades of leadership experience in the heavy-civil-engineering sector and has supported the successful delivery of many multibillion-dollar infrastructure projects across the Middle East, Southeast Asia, and the United Kingdom. Over the course of his career, Ghassan has supported multiple government clients and private developers in master planning, design, and construction supervision of infrastructure for residential neighborhoods, industrial zones, and public-realm upgrades. He has also provided design, value engineering, construction-engineering support, and program management for groundbreaking transportation projects, including airport expansions, urban rail development, and the construction of highways, bridges, and major marine crossings. Ghassan has authored many papers on infrastructure and engineering topics and has presented at leading industry conferences around the world. He is a fellow of the Institution of Civil Engineers and a founding committee member of its United Arab Emirates branch. 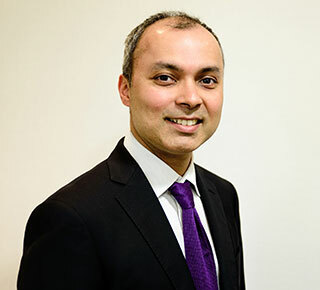 He has also chaired the UK Trade and Investment’s UK–UAE infrastructure working group, and currently serves on the industry advisory board for Abu Dhabi University. Before joining McKinsey, Ghassan served as regional director for infrastructure major projects at Atkins, where he established and rapidly expanded the Middle East infrastructure consultancy division. He was previously with AECOM, where he served as regional managing director, establishing the Malaysia and Singapore offices and expanding the business to the Middle East. Steve Severance leads the Program Management and Marketing for Masdar City, a low-carbon sustainable city and clean-technology cluster in Abu Dhabi. He oversees numerous projects to ensure they meet program baselines that balance sustainability and economic requirements, as well as program controls guaranteeing each project meets sustainability, revenue, cost and schedule targets. Additionally Mr. Severance leads the development of the technology lines of business including district cooling, mobility, and smart city initiatives. He develops new business models, execution strategies and partnerships with leading global companies to implement the technology requirements. Mr. Severance has 20 years of experience in project and programme management, strategy consulting, financial analysis and economic development. He joined Masdar City from Booz & Company in Los Angeles, where he was an Engagement Manager. During nine years at Booz & Company, he led teams handling senior-level clients and their major projects in the United States, Europe, the Middle East and Asia. He also headed the development of operating models, governance, organisation, processes, and tools required to improve the success of these projects. Additionally, he led project teams in growth strategy, cost reduction and economic analysis. Before joining Booz & Company, Mr. Severance served as Project Director for the nonprofit Citizen’s Network in Moldova and as a Business Consultant to the Peace Corps in Moldova. He has also worked for Sun Microsystems, Wyse Technologies and Amdahl Corp., all in California. Mr. Severance graduated with a Master of Business Administration (MBA) degree from San Jose State University in California, and a Bachelor of Arts degree in in Business Administration, emphasis Finance, from Cedarville University in the United States. Mohammad is leading the development of du’s ICT Smart Services in the UAE market, including Smart Cities, Internet of Things (IOT), Blockchain and AI. He comes from a long commercial background focused on new technology service design, go to market and service management. Mohammad holds a Global MBA from University of Manchester. 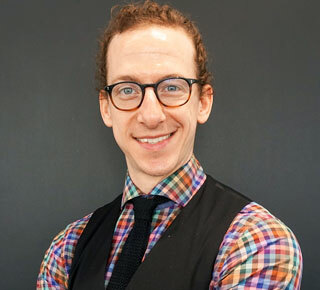 Shawn is an Urban Designer with a global perspective having grown up in the USA, studied at the Architectural Association and worked in NYC, London and Dubai. His focus is on urban residential projects and urban intensification strategies; issues that investigate the evolution of living and working patterns across the next generation within cities. He considers housing to be the cornerstone of successful neighborhoods and believes that great urban environments require exceptional housing across the entire socio-economic spectrum. He firmly believes a 21st century urban environments owes us more than the current model provides and he is passionate about discovering ways to evolve it. to ensure client satisfaction and goal achievement. 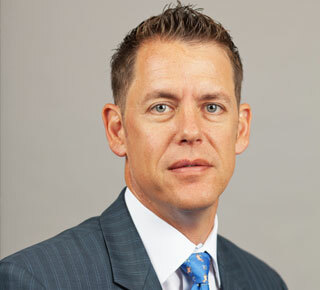 Andrew Bevan is Parsons’ Smart Mobility Director. He has a bachelor’s degree in electronic and electrical engineering (with honors) from the University of Bath, UK. He is a Chartered Engineer, holds Fellowships with two international engineering organizations and has nearly 20 years of experience, specializing in intelligent solutions and systems integration. He has worked on some of the most prestigious rail projects throughout the Middle East and has spent many years working for the federal government in Abu Dhabi developing the systems portfolio and the introduction for the national rail infrastructure. 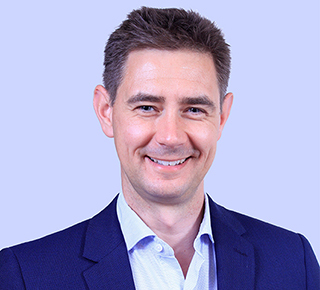 Before joining Parsons, Andrew was a subject matter expert with Ericsson in its Global Centre of Excellence and provided consultancy services across the world for clients such as the Istanbul Municipality on Integrated Mobility and Smart Cities and Network Rail in the UK on the adoption of disruptive technologies and IoT to improve efficiencies in operations and maintenance. Hans is currently serving as Director of Dtec, the largest technology entrepreneur centre of its kind in the Middle East housing 790 Tech start-ups and incubators, labs and accelerators. He has 25+ years’ experience in building up departments in large organisations and starting companies in South America, Europe and the UAE. He is a frequent speaker on Entrepreneurship, Blockchain and AI technology and a judge at business plan competitions. 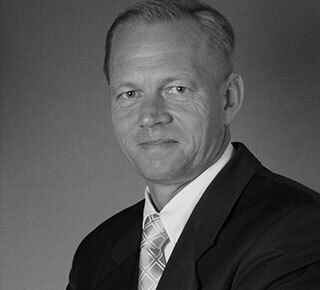 As an entrepreneur Hans attracted venture capital and acted as CEO for several start-ups and held important global positions in large IT and financial institutions. Hans built-up and directed the team of the first technology incubator of Siemens ICN and ICM in 2001, successfully spinning off its main venture which he joined as Co-founder and CEO. As the Director of Dtec Hans’ directs a team of managers managing co-working, investments, acceleration and marketing, supporting entrepreneurs from 70 nationalities. He serves on the board of 10+ start-ups. An influential voice in the field of architecture with a passion for sustainable design, Shaun has been an award-winning architect who has worked on some of the world’s most iconic structures. He won numerous high-rise commissions along with the design of the world’s first large-scale integration of wind turbines into a building, the Bahrain World Trade Centre. Shaun’s strong commitment to bringing on young talent and holistic approach to design identifies with some of the company’s current signature projects which include the award-winning design for the Museum of the Future, the Address Jumeirah Gate Hotel and a W hotel in India. 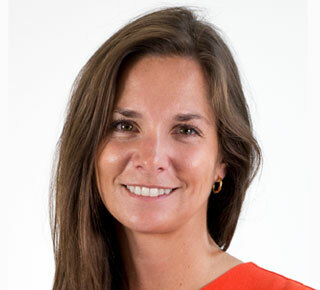 Holley Chant is the Executive Director of Corporate Sustainability and Commissioning at KEO International Consultants, a 2,400-person organization ranked in ENR’s Top 20 International Project Management Firms and BD World’s Top 100 Architecture firms. She has built the sustainability business from the ground up, facilitating projects that meet LEED, Estidama, Well, CEEQUAL and GSAS sustainability standards for both public and private sector clients across the Gulf Cooperation Council (GCC). Holley is also a driving force behind KEO’s Building Data Science initiative, called “City Information Modeling” (CIM). Under her leadership, KEO Sustainability won the “QGBC Sustainable Building of the Year award in 2017 and in 2016 the QGBC Green Service Provider, Building Consultant” Award. Holley is a recipient of the Middle East Consultant Leader of the Year Award in 2015 and the Middle East Architecture Awards Principal of the Year Award (2012). She has served as the sustainability judge in the Dubai Cityscape Global Awards (2014-2018). Malaysia, the Netherlands, Saudi Arabia, and the UAE. various stages of a project life-cycle. 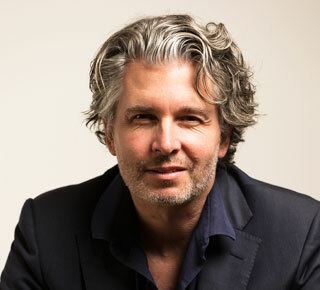 Janus Rostock is an architect, urban designer & master planner with +20 years’ experience. Specializing in holistic design on complex multidisciplinary projects and masterplans, he has proven expertise in a wide variety of projects including the Dubai Opera project and its district, masterplanning, low rise office buildings, high rise residential towers, hotels, education, and transport. Having received his M. Arch from the Royal Danish Academy of Fine Arts School of Architecture, Copenhagen, after having spent a year at l’Ecole d’Architecture de Paris Belleville, Paris, Rostock worked for multi award winning firms Henning Larsen Architects and KHR. 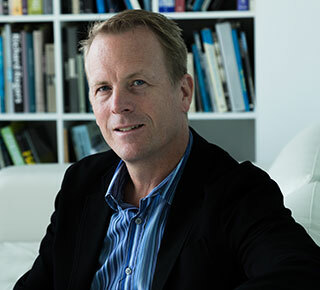 He moved to Dubai and joining Atkins in 2006, where he was part of the team delivering the Dubai Promenade and Cape Town Waterfront masterplan. In 2008 he moved back to Denmark as Associate Design Director to start up Atkins’ Architecture and Design department in Copenhagen. Following this spell he once again returned to the UAE in 2011 and is now responsible for leading Atkins’ Middle East Architecture and Urban Design team. Rostock has accumulated extensive international experience as the lead concept designer on projects and master plans in the U.A.E, Saudi Arabia, Syria, Iran, India, Azerbaijan, Angola, Kenya, South Africa, Norway, Sweden and Denmark. 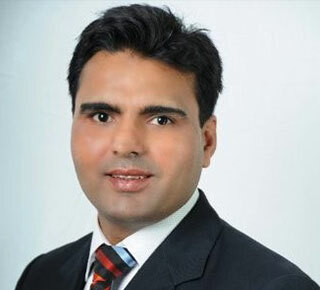 Manosh leads the Jacobs Middle East Urban Planning and Intelligent systems team. He is a creative designer with experience in over 10 countries and including the Middle East and North Africa, Asia, Europe and the Carribean. Manosh has worked in pivotal roles on some of the Middle East and India’s largest projects including new Capital city Amravati (India), Business Bay Dubai, Lusail Doha, World Cup 2022, industrial cities for Saudi Aramco and Modon and the regeneration of Hatta and Dubai’s Historical district. Manosh is an alumnus of the US Dept of State International Visitors programme, a UK Chevening scholar (awarded for Masters studies UCL) and a member of Beta Gamma Sigma. Nic Jacobs is business systems lead, for the Middle East region of SNC Lavalin’s Faithful+Gould business. He is also responsible for the digital transformation for the region, working closely with the global business’ team. 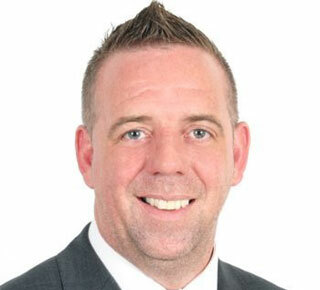 With 18 years’ experience in the construction industry, he has worked across the entire project life-cycle on a variety of projects and programmes, from inception through to completion, with the last seven years, applying the knowledge managing the development and implementation of software solutions and technology for large projects and programmes, in both private and public sectors. With an engineering and a business degree, he focusses on translating business requirements into digital solutions, to provide the ultimate project and programme management platforms to achieve business objectives. When not in the office, Nic is a passionate triathlete, who has successfully completed 3 full Ironman races the past 2 years, and is currently training for his 4th race. Nic particularly enjoy the sport since it is based on the same principals of managing a large programme of works, with constant performance measuring through the application of mobile technology, analyses of Big Data for application of trends and KPI’s, as well as IOT. Nadeem is Aurecon’s Middle East Transport Planning Director, and has developed a largest team of skilled Transport Planning and Smart Mobility experts, which is renowned as being the top consultancy in the GCC region.He has broad global experience in the fields of Transport Planning, Innovative Smart Mobility Solutions, Next Generation Transport Modelling, Big Data and Complex Transport Solutions. He has excellent relationships with local developers, government bodies and planning agencies, which allows him to be a trusted advisor and he often plays the role of client relationship and stakeholder co-ordination director. Claude received his Bachelor of Engineering in computer and telecommunication from Notre Dame University. Furthermore, he holds a Masters of Engineering and PhD in Electrical and Computer Engineering from Concordia Canada. He conducts training and education, consultancy and operations in the cyber security field. 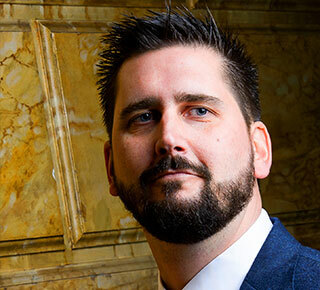 With more than 12 years experience in both industry and academia, he has worked on several large-scale projects to various federal and government agencies. Furthermore, he is affiliated with the National Cyber-Forensics and Training Alliance Canada and holds a certificate in university teaching. Claude has published thirteen articles and two book chapters in international venues and received more than 10 awards and international recognition. He makes a strong effort to meet new people and surround himself with industry and academic pioneers. He seeks solutions and take actions through his affiliations, leadership and communication skills. He is currently an assistant professor at University of Dubai. 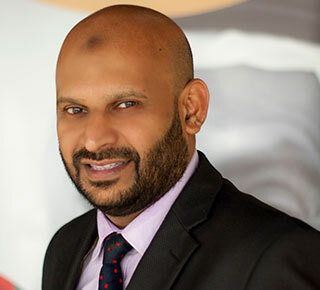 Mustafa is a Founder and Chief of 2 Not-For-Profit Organization in UAE & India and 25 years of stellar IT professional and humanitarian career in UAE. An internationally recognized social entrepreneur, Mohamed is currently heading to build an Asia & Africa regional capacity on Child Online Protection. An IT specialist by profession, Mustafa held the position of Business Intelligence Analyst/Web Systems Architect at ADNOC Distribution from 1999 until late 2014 and left his cushy job for the Child Online Protection Cause. A Child Protection Evangelist, Mohamed visited more than 25 countries and various organizations HQs such as (INTERPOL, EUROPOL, FBI, ICE-DHS, UNICEF, ITU, Google, European Union, ETC) to understand the dynamics of global Child Online Protection best practices. The result, he become a member of INTERPOL Specialists Group on Crimes against Children and various international advisory board.